OLYMPIC OBSESSION brings to life the personalities behind British rowings incredible success story at the Sydney Games. Set to a compelling narrative, the book unfolds against the story of Martin Cross, himself an Olympic champion, turned BBC commentator. 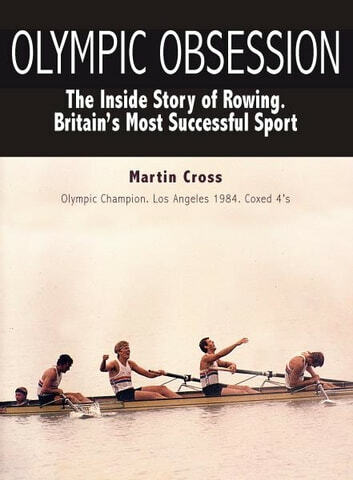 Crosss unique relationship with the sport over the last 30 years allows him to take us under the skin of the likes of Sir Steven Redgrave, Matthew Pinsent, Greg and Jonny Searle and Miriam Batten. What is Redgrave really like to be with? Cross, Pinsent and a resentful Andy Holmes have their say. Why was Foster the only one who seemed to smile during the BBCs fly-on-the-wall Tales of Gold documentary? How was it that the British eights gold medal depended on a man given only a few months to live in March 1997? Cross answers all these questions and many more, through a fascinating story that begins over 25 years ago. With a foreword written by BBC Radio Five Lives controversial commentator Alan Green, Olympic Obsession will appeal to all sports lovers, as Cross takes us from the highs of winning Olympic gold, through the depths of personal failure, to giving a flavour of the heady brew that results when sport and politics are mixed at the highest levels. But the Inside Story of Britains Most Successful Sport is much more than just another book on sport. The intensity, passion and depth of the many relationships sensitively described here by Cross will sound a powerful note in any readers heart. As you turn the pages, take care: you may find the inspiration in this book infectious. 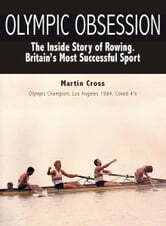 In the wake of the Sydney Games, MARTIN CROSS is uniquely qualified to write this book. After 22 consecutive years as an international rower from 1975 to 1996 he has an unrivaled knowledge of the world of rowing. He has raced internationally with many of Britains Olympic team. In 1984, he began his work as an Athlete Representative, eventually sitting on the governing bodies of the both the British Olympic Association and that of World Rowing. As such, Martin has had a unique relationship, not only to the worlds top sportsmen and women but also to their coaches and officials.